Mensusa https://www.mensusa.com/articles/mens-purple-dress-pants-the-most-fashionable-trousers.html Mens Purple Dress Pants- The Most Fashionable Trousers The mens purple dress pants will enable you to make an impressive public appearance and it upholds your mature & classy sense of dressing. 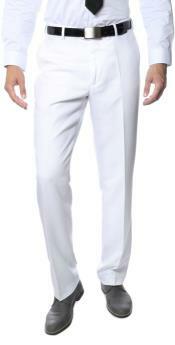 These dress pants will be inevitably found in the collection of the fashionable men. When it comes to the special event dressing needs, you will hardly get a better option on trousers than the mens purple dress pants. The purple dress pants are highly appealing and it is a delight as the choice of apparel as it appears in a very soft and decent look. Picking these trousers for the special events, you can be assured that the focus of the crowd will automatically get attracted on you. However, you stand some responsibilities to perform before you can expect to win over the attention of people so easily. The responsibility is to pair the purple dress pants with the shirts and jackets appropriately. The mens purple dress pants features a vibrant appearance and hence, you should ideally pair the lighter shaded shirts with these trousers. For instances, the white, ivory, off-white, cream, taupe and gray will be some of the best choices to be paired with the purple dress pants. The pairing of the purple dress pants with lighter shade of shirting will come effective to highlight both the trouser and the shirt and on the whole, it will accentuate your appearance in a highly fashionable style. What should be the right shade for the jackets? It will be the best to pair the purple dress pants with the blazers of the same shade. As you will choose a lighter shade for the shirt, it will establish a wonderful contrast with the purple blazers. The pairing of the dress pants & blazers in same colors and the shirts in lighter shade will get you a fashionable and elegant appearance. You can even try this for the routine business appearances as well as in other formal ambiances. A sophisticated and fashionable appearance will enable you to steal the show of the event. 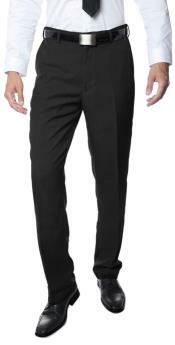 The market has availability of top quality purple dress pants in various sizes. Hence, even if you are a big and tall man, you can be assured that you will get the trouser that will offer you the perfect fitment. Purple color features a luxurious and sophisticated flair that comes highly effective in attracting the attention and focus of the people on you, and subsequently, they will obviously be impressed by your polished, elegant and stylish appearance. Thus, your closet should inevitably have a few numbers of purple dress pants. To get the most impressive collection on the apparels and fashion accessories for men, you need to visit www.mensusa.com The store had earned the reliance of the buyers and they prefers to deal with this store as here, they will always get the most fashionable products for the most inexpensive rates.